Angelica Evans (left) and Genelle Grubb of the Cascades competed in the women’s double at Head of the Fort. On a picture-perfect day in Fort Langley, the University of the Fraser Valley rowing club turned in a series of strong performances as it hosted the Head of the Fort. 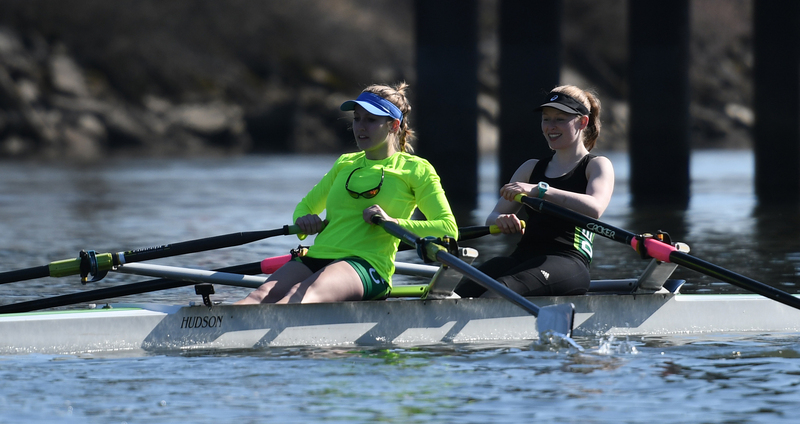 The 10th annual edition of the Cascades’ home regatta was not only blessed by sunny skies, but by ideal conditions on the Bedford Channel waterway. “The weather made such a difference, but it was also the water,” UFV head coach Liz Chisholm enthused. “Racers came up to me afterwards and said the water was so smooth. There wasn’t much tidal movement. 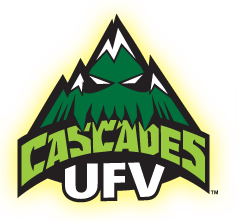 Highlights for the Cascades included a first-place finish (by raw time) for Erin Steele in the women’s single (29:08.96) and a third-place result for Mitchell Wierks and Clayton DeVries in a crowded men’s double field (25:22.41). 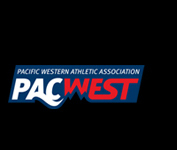 Chisholm noted that Steele’s performance was significant as it was just the second time she’d competed in the single – the first being the previous weekend at the Elk Lake Sprints in Victoria. Mitchell Wierks (front) and Clayton DeVries were third in the men’s double. “I was incredibly impressed,” Chisholm said. “I know a few people in that race that Erin beat – people who have competed internationally. They’re older, but they’re still fast. 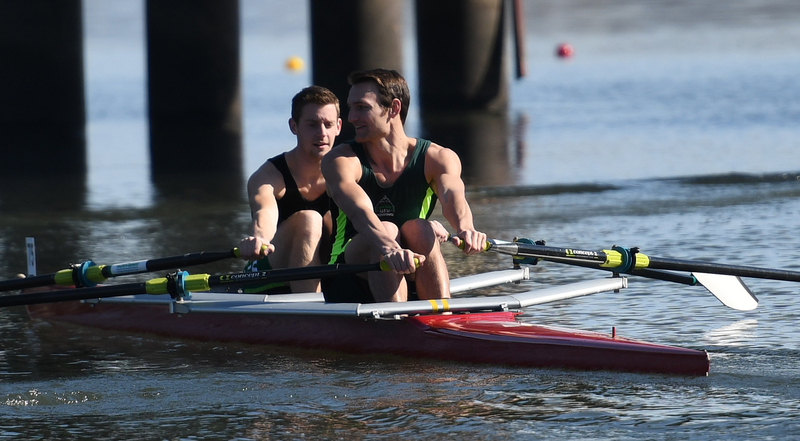 UFV’s second entry in the men’s double, Kyle Fischer and Andrew Stahl, took sixth place in a time of 25:50.84. In the women’s double, Genelle Grubb and Angelica Evans were fourth out of eight, clocking in at 29:36.70. 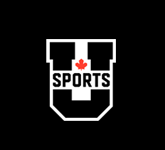 In the women’s four, the UFV entry featuring Serene Blanchard, Julia Siemens, Amy Driegen, Jayme Reitsma and coxswain Genelle Grubb finished third (28:29.57). In the novice women’s four, Tasha Short, Aneesha Narang, Shivohn Peters and Michelle Olive took second place (29:27.79). Additionally, a men’s eight boat stocked with UFV alumni traversed the 6.5-kilometre course in 25:13.46. 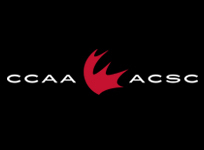 Complete race results can be found at regattacentral.com. 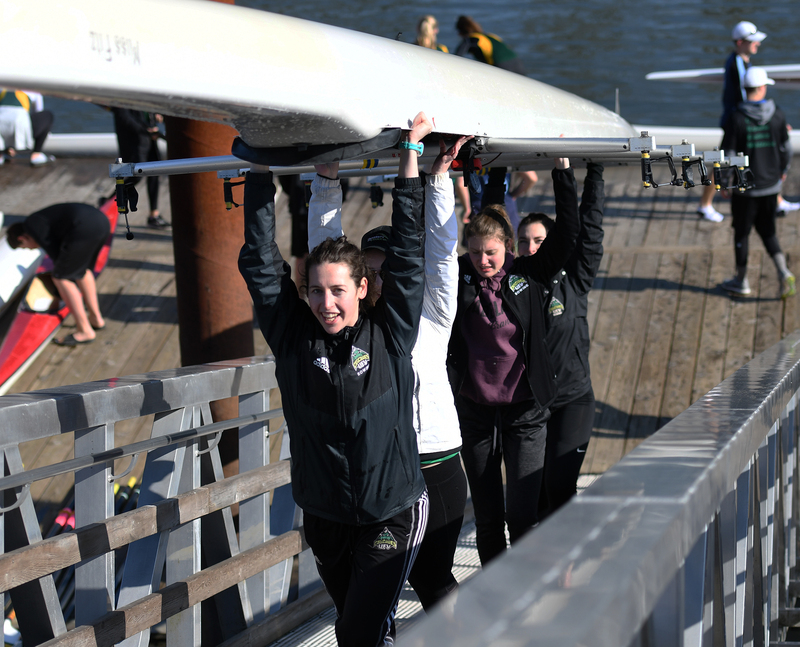 Head of the Fort is a student-run event, and Michelle Olive (front) and her Cascades teammates helped visiting teams get their boats to and from the dock.